This lesson illustrates one way that the study of geography can be applied to planning for the future. Students will research an environmental issue that affects their town or region, draw pictures assuming two possible outcomes for the problem in fifty years (one negative and one positive), and create a plan to educate the community about this issue. Northern shrimp (Pandalus borealis) are a small but important part of Maine's fishing economy. They have a known love for cold water, and unusually warm temperatures over the last decade have contributed to a collapse of the Maine population of northern shrimp. In addition to raising the price of shrimp, this will make it harder for Maine fishermen, who have often relied on the shrimp fishery to supplement their other catches, to make ends meet. The Atlantis Fritillary provides an excellent example of how rapidly things are changing, and how policy is not keeping up. In under two decades, the population of these butterflies in Massachusetts has been reduced by 90%, but they are not listed as in any way threatened, and there are no official conservation plans in place. 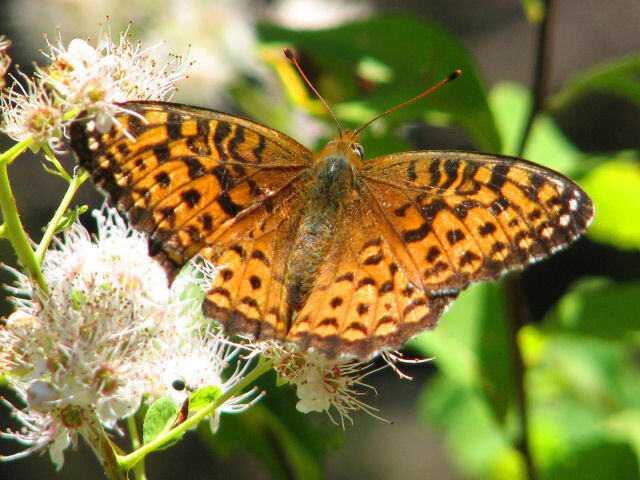 Historically, the Atlantis Fritillary was one of the most abundant species in the state, but with the rise in temperature, their numbers have been decimated. Be on the lookout for new visitors: Carolina Chickadees heading north!